Ford unveiled the Mustang GT to the European market for the first time with right-hand drive in March 2018. The combination of Americana, 5.0-litre Coyote V8 producing 444bhp at 7000rpm and angry power at an affordable price proved a big hit. The Mustang even started to outsell some of its native European competitors. But how does one continue to advertise such a beast to a discerning English market, Tally Ho, Pip pip…. 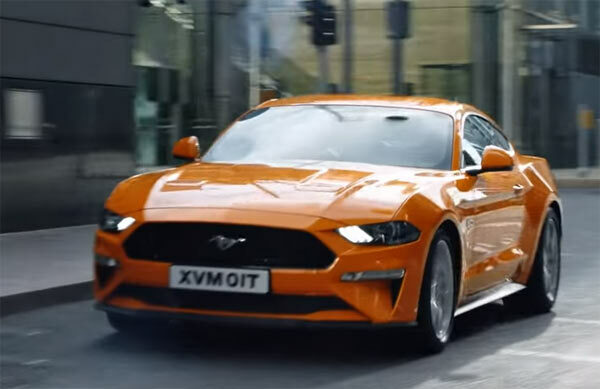 Summing up, the commercial with a voice-over by Iain Glen who plays Jorah Mormont in Game of Thrones, is trying to portray the Mustang as an antidote to the grey and boring, daily grind of office life. It’s almost like the recital of a dark, Shakespearean drama in tone while trying to promote the benefits of a loud, brash, chest beating muscle machine. I get what they are trying to do here, but I come away with more of a reminder of how sh** daily commuting is and the regular office grind. Maybe they should have put a big party atmosphere at the end. Bright colours, rock music, etc. as a complete contrast to the stoic intro. It almost goes too far, emphasising the daily grind as being just a grey, monotonous treadmill. The English weather can be dull, but it’s never that grey. Well, not all the time……. Europeans are buying into the Mustang as they want a bit of exotic Americana with a raw driving experience at a decent price. Basically, what we all want, no matter the continent we live on. It’s almost like an American ad. agency put the commercial together for the UK market. With that voice over, all that is lacking is a few castles, a mediaeval winter wasteland and then show the Mustang riding over a hill as the solution to bring us out of these dark times. At the end of the day, the Mustang is continuing to sell very well in Europe. The old adage of the American medium-sized muscle/pony car, with loads of performance at an affordable price, is now spilling over to Europe. Ford have been around forever in these realms, from Winterfell to the Westerlands, so it wasn’t this much of a shift to give a high-performance version of the Fords they already know, especially in native right-hand drive. Thow shalt summon up these hordes of exotic Mustangs and vanquish these old ways of thinking……………via a prepayment plan and adequate parking space.